These models are all stunning! Natural beauty is the best way to go! thanks for aour bloglovin address! we didnt know about it! I was following you!! I love reading your posts! 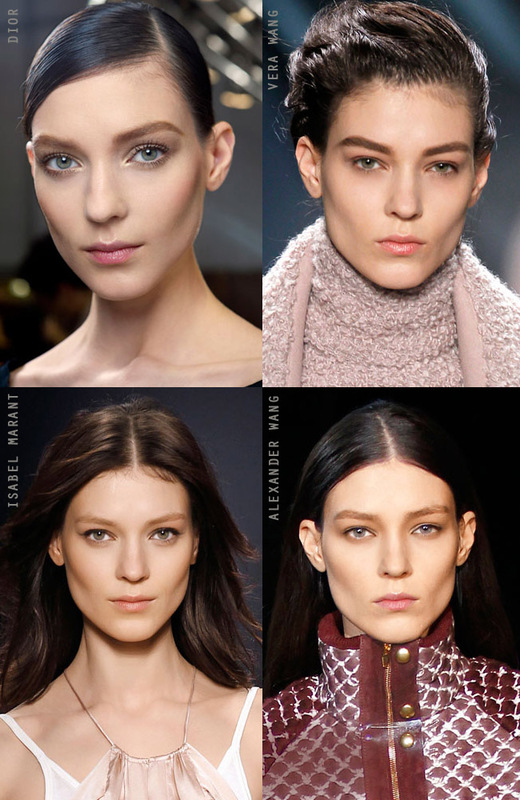 Great blog, loove the natural make up. Following you back via Bloglovin'. Love the blog! I just love natural looks. And I'm pretty positive men do too! Double score! Great post! I follow you on bloglovin!!! I love natural make up !!! Naural make up is always sweet. Loved your blog ! Followed you at bloglovin & google friend connect . I'm not really fond of this make-up :P.
Those pics just makes me go Woa. Those cheekbones are crazy. I find them a little creepy in a way, you remember that there's a skull underneath in a way you don't usually. Maybe that's just me! Cause I'm weird.